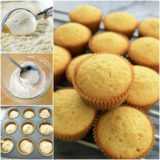 If you’re an avid baker or a cooking enthusiast, then you’re familiar with how messy working in the kitchen can be. 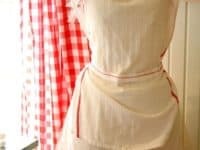 Instead of taking the time to change outfits before each time they cook, most people opt for grabbing an apron to cover their clothes instead. 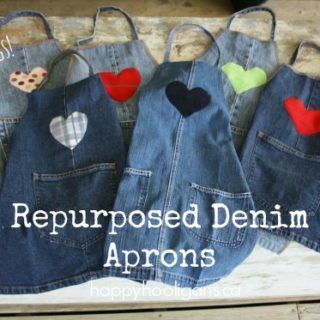 You could buy an apron, but isn’t making things yourself always a lot more fun? 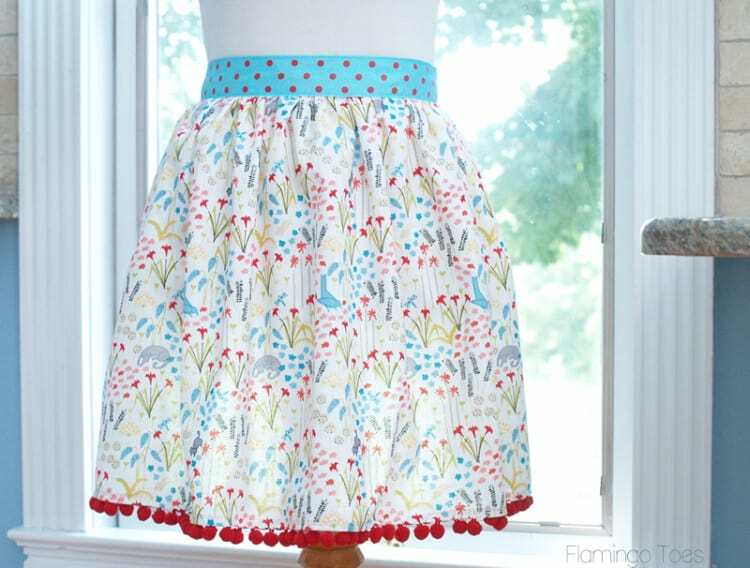 Check out these 15 adorable, easy, and practical sewing patterns that you’ll love making! 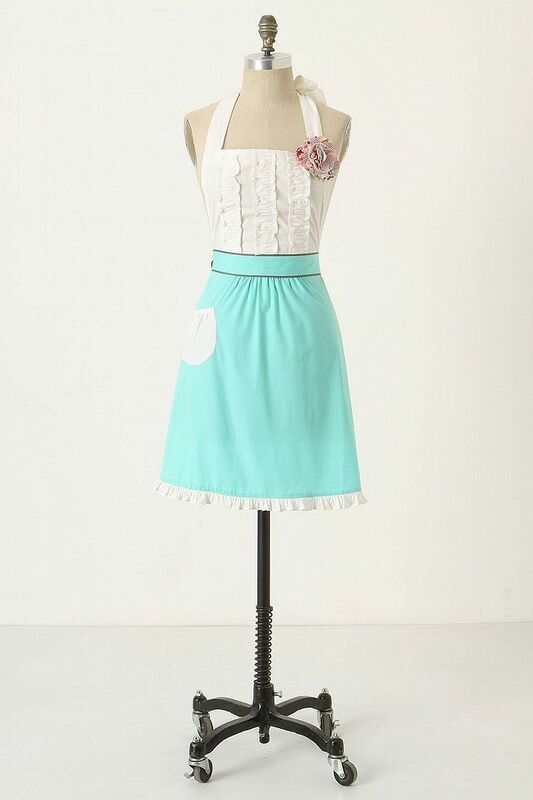 This fancy, frilly apron looks like a classic piece from the 1950s and we’re in love with it! It’s long enough to give good coverage and it features a pocket, just in case. This gorgeously ruffled apron pattern is prettier than most of our actual outfits! 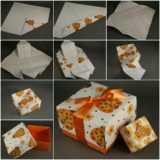 We think this would make a beautiful house warming, wedding, or birthday gift for someone who adores cooking and baking. 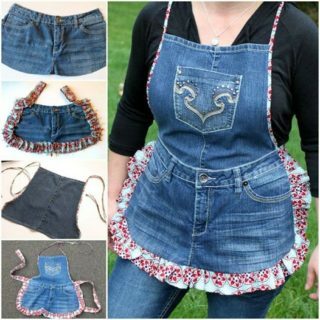 This apron pattern is practical and it upcycles an old short. 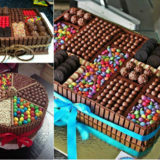 What more would we ask for? 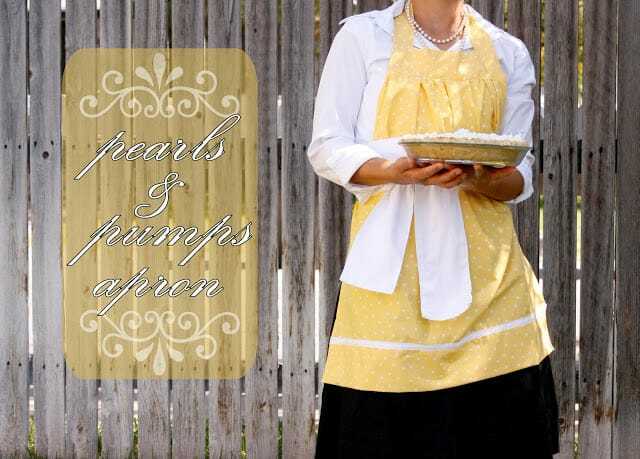 The tutorial shows you how to make a full coverage apron from a large men’s dress shirt. 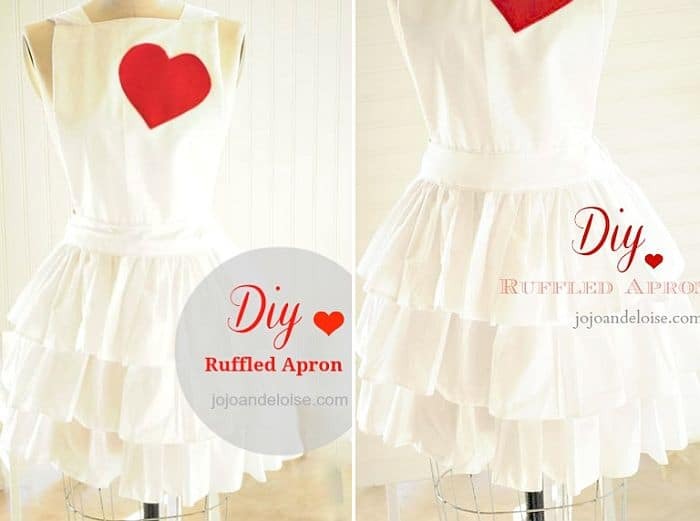 This apron includes a tulle under layer so that it resembles a classic French maid style. 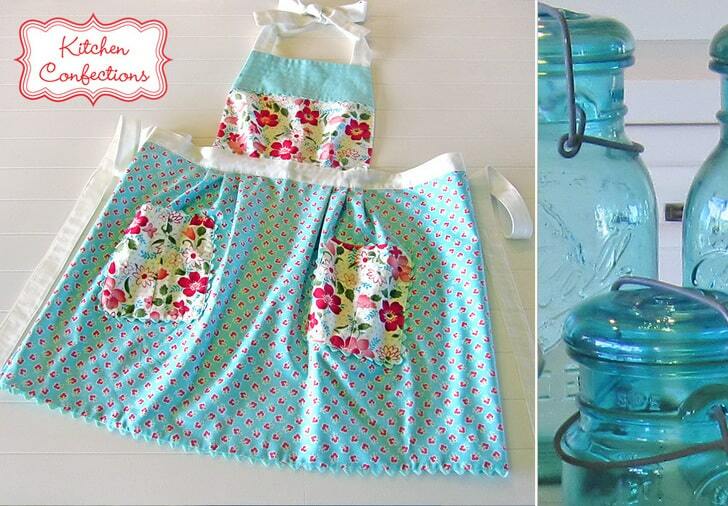 It’s slightly more modern looking, however, because it’s made of repurposed tea towels! 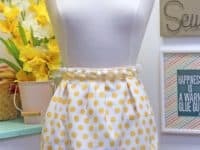 This pattern reminds you how useful half aprons that go just around your waist can be! 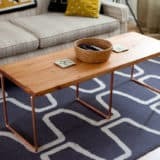 If that’s the style you prefer, then you still have countless DIY options. We love the contrasting patterns in this design. Do you love the idea of making an apron out of a repurposed tea towel but need something quicker and simpler than the previous design we listed? 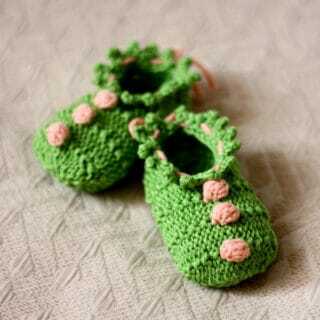 This pattern only takes you 30 minutes to make even though it’s absolutely adorable! 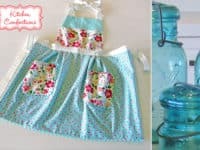 Here’s another 30 minute apron tutorial for you, just in case you’d like the same style and speed but without using a towel. 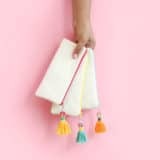 The pom pom edging along the bottom is particularly adorable. 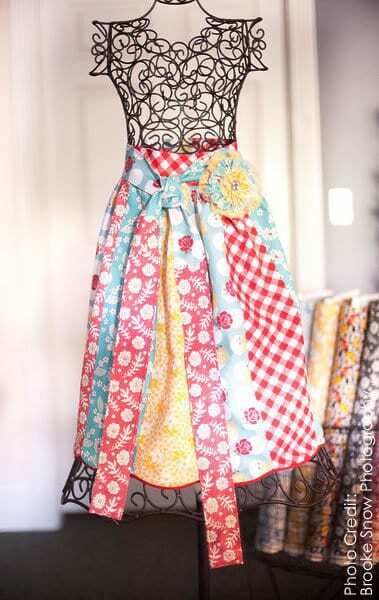 We love the idea of incorporating a theme into the design of your apron! 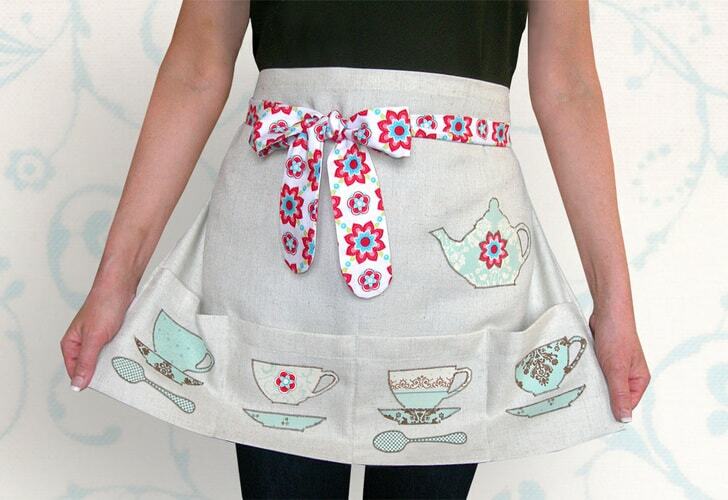 A tea set makes for the perfect little apron. 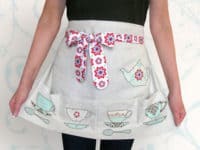 Try to find tea set material or use any material you like and heat press teacup fabric decals onto each pocket once you’re finished sewing. 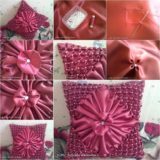 We love how this pattern uses different colours and patterns of fabric to create a bright quilted effect. 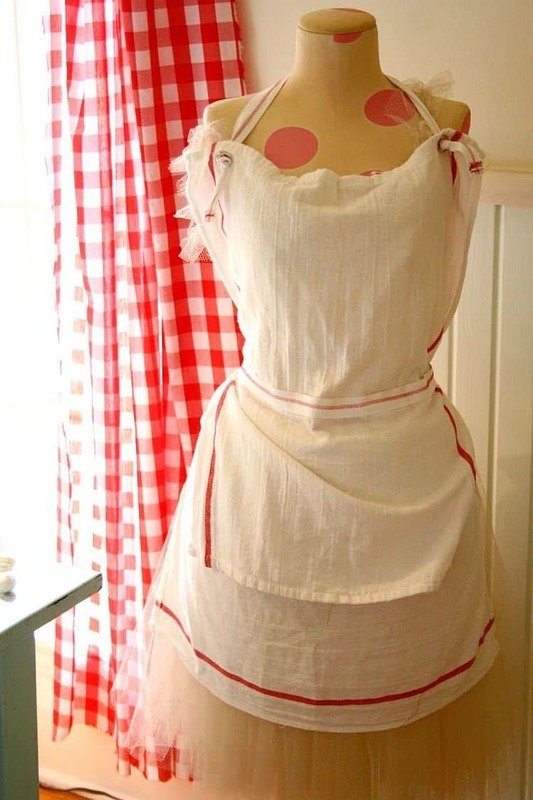 This apron style is a little bit longer for extra coverage, but without restricting your torso while you move about the kitchen. 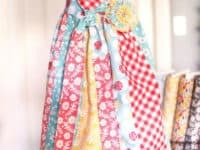 Bandanas are easy to come by, affordable to purchase, and great for quick sewing projects because their edges are already neat and finished! 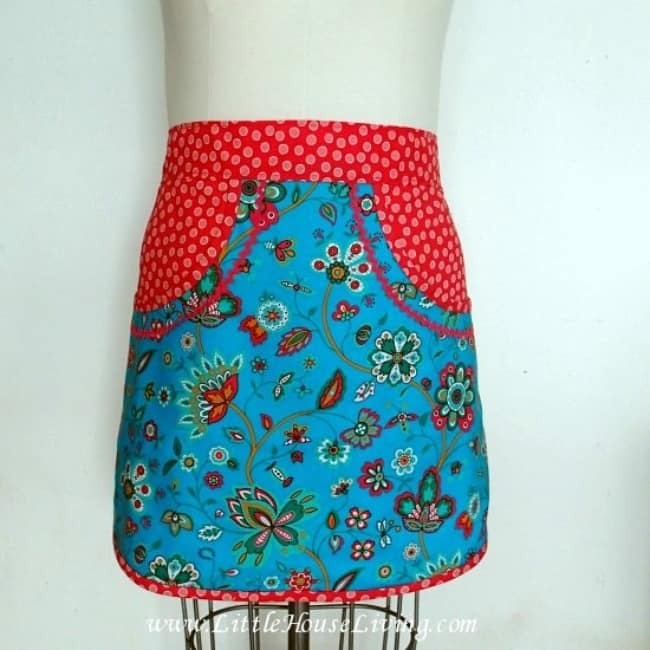 This tutorial shows you how easily a bandana and be transformed into a little waist apron. 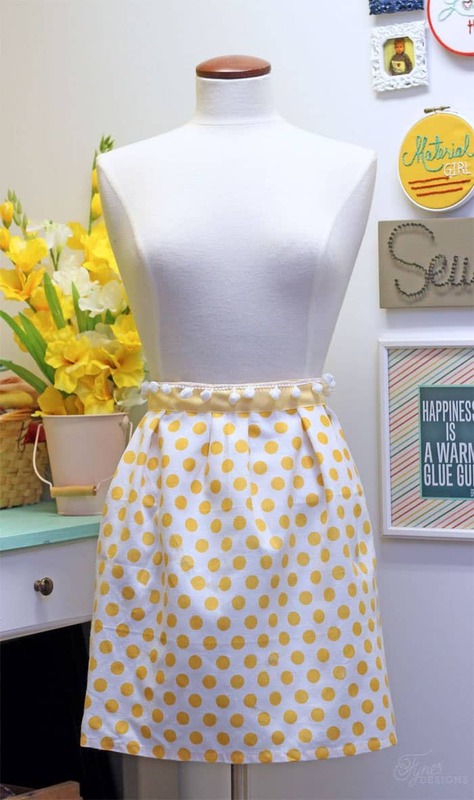 This apron has it all; full coverage on the top and bottom, ties that let you adjust tightness, and pockets for placing things as you move around the kitchen. 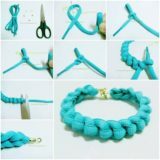 It’s also a classic style that will never be out of style. 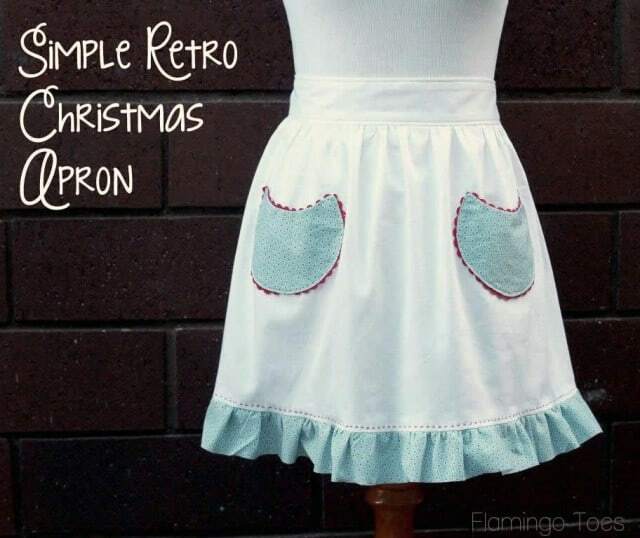 Themed aprons are especially fun to make! 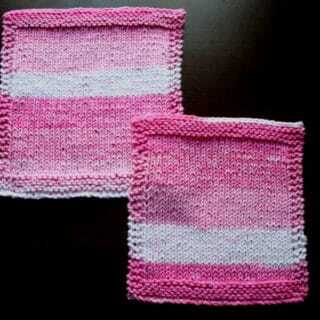 They’re perfect for each new season and they make great gifts. 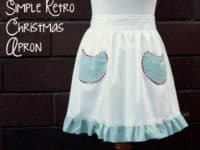 This simple Christmas apron pattern is totally retro looking and we can’t get enough of the shaped pockets and frilled edge. 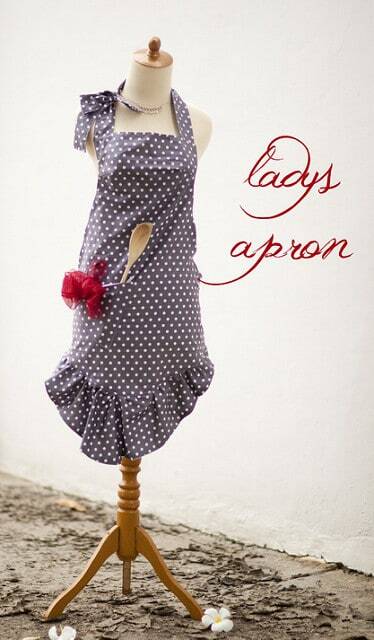 Here’s another adorable variation on the classic 1950s style apron! 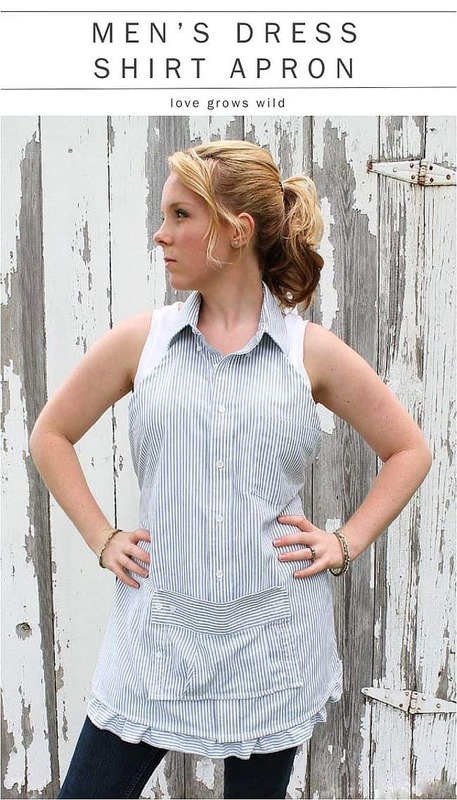 We love the pleats at the bust and the thick tie around the middle. 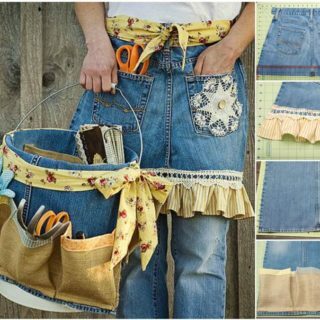 It’ll practically look like part of your outfit rather than just a kitchen garment that covers your clothes! 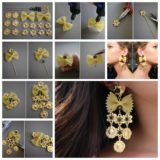 What’s better than creating your own version of a brand name item that would have cost you a lot more money? 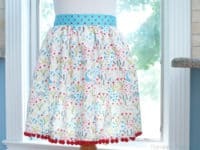 We can’t get enough of the pleats at the bus, nor the trendy mint colour across the waist. 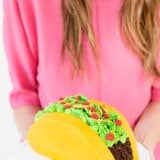 You’ll save money and feel a lot more accomplished. 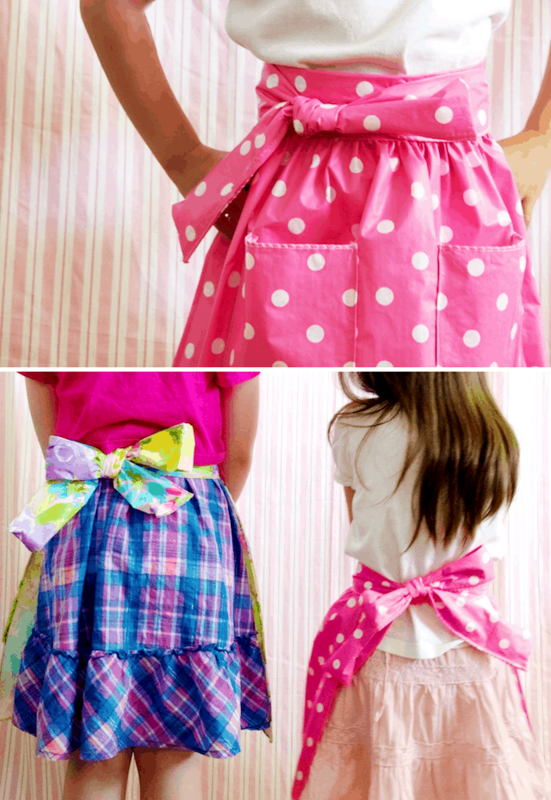 Kids can make use of pretty little aprons too! 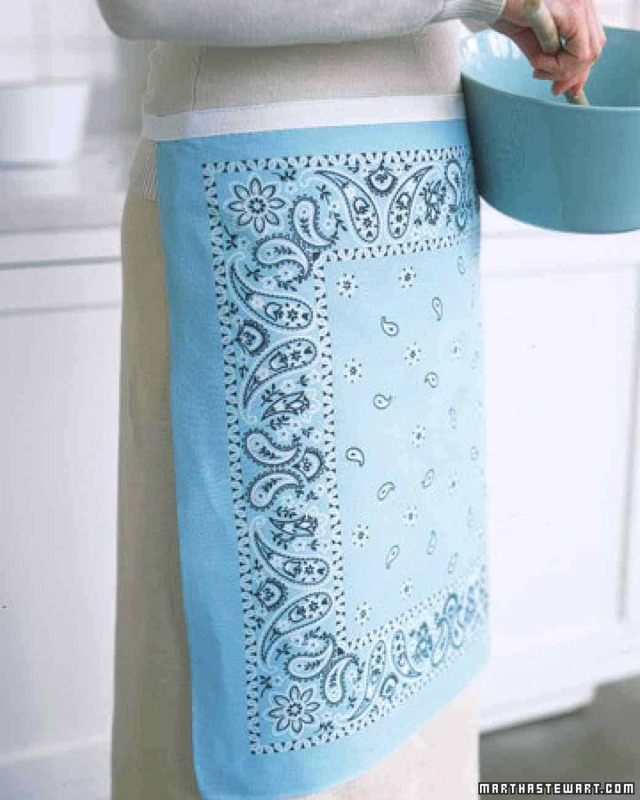 These wipe-down aprons are a great way to protect their clothes while they help you cook or while they craft with paints and other messy supplies. 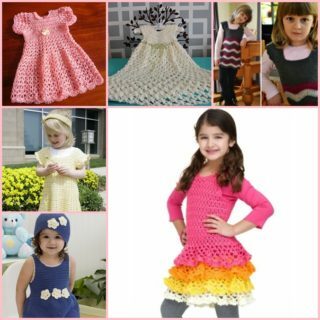 You’ll be a lot less worried about spills when you know the garment washes so easily!